When setting up Bandit Fiction, one of our key objectives was to give extra opportunities to new and unpublished writers, and to writers in education. And when gathering feedback about what writers want publishers to offer, a similar request came up – over 2/3rds wanting more opportunities for new and emerging writers. As such, we’ve tweaked our Submission schedule slightly, and are happy to announce that our final yearly issue – submissions received between August and October, and published 20th December – will be restricted only to new and emerging writers, and to writers in education. Standard submission guidelines also apply, such as word limits, etc. Below is all the information you may need to know, if you’re interested in submitting to this issue. When you email your story, please specify that you are an emerging writer. We consider ‘new and emerging’ as any writer with less than 5 publishing credits to their name. To be considered for this criteria, you must specify so in your email (and list your previous publications, if applicable). Please send us your submission from yo ur student email address. You don’t have to be studying English/Creative Writing, etc, you simply have to be in education – from primary school to PhD study, you qualify. Alternatively, if you include a photo of your student card (or similar), we can accept this. If you send your work without evidence that you’re a student, we’ll assume that you’re not a student. Even if you don’t qualify to be published in this issue, you can still submit. We’ll read all work (as long as it follows our guidelines) and if we’d like to publish it, we’re happy to publish it in the next, unthemed issue (published 20th March). *We reserve the right to extend this to include recent graduates, depending on submissions. 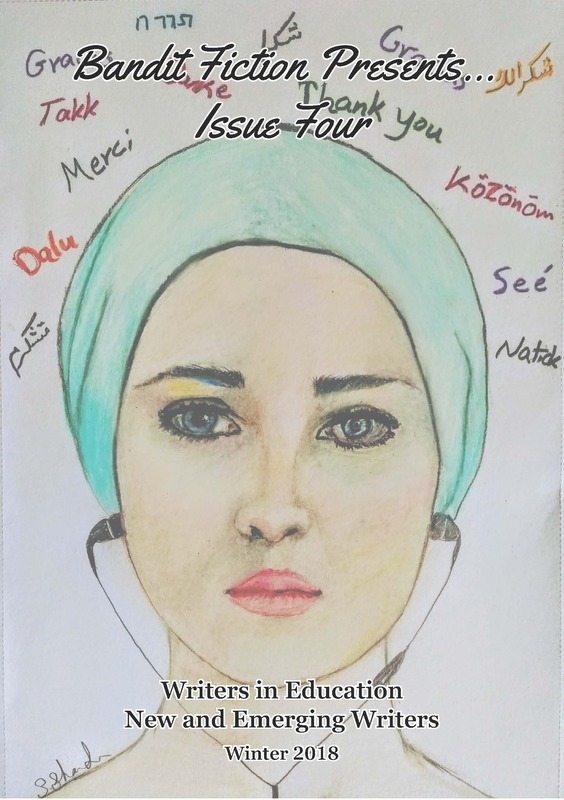 Bandit Fiction Presents... Issue Four is jam-packed with 15 amazing stories, all from writers either currently in education, or from new and emerging writers. From fairy tales to philosophical flash fictions, from after-death musings to the struggles of being a teacher, these are stories and writers we're very proud to bring into the open, and we hope you like them as much as we do!